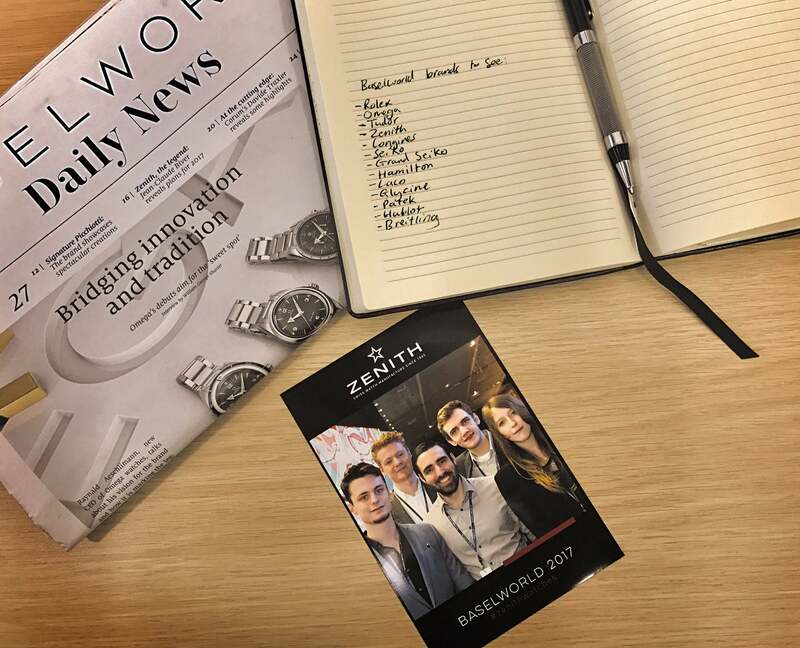 I’ve been working for WatchGecko for one year now, and what a better way to mark the occasion than a trip to Baselworld. This was my first visit (after narrowly missing out on the opportunity last year!) and I was determined to make the most of it. I’ve been a fan of watches for years now. This obsession all started from my Dad sharing the same passion. The obsession has rapidly grown in the last 12 months, with my main focus being on Rolex and watches that have timeless designs. After we arrived late on Sunday we went straight to bed to make the most of our 2 1/2 days at the show. Once the morning of Monday arrived we were all ready to go and look at some great watches. The first thing to strike me when I walked through into Hall 1 was the sheer size of the stands. Many people before had told me about the grand scale of things however I don’t think it could quite prepare me for what I experienced. Huge displays with large screens showing off new models, a small army of brand representatives at each stand handing out catalogues and other freebies, branded cars, motorbikes and planes all there to grab people’s attention. The first stop was all of my favourite brands. This included the likes of Tudor, Omega, Patek, Blancpain, Hublot, Zenith, Breitling etc. Being able to see and photograph the watches we lust after everyday at work inspired ideas for future Geckota watches. Recently, myself and a few colleagues were obsessed with vintage watches. This included researching different styles, movements used in specific models, all the different Swiss brands and so on. So when a lot of the brands at Baselworld all had re-releases of older models, it sparked my interest even more than expected. 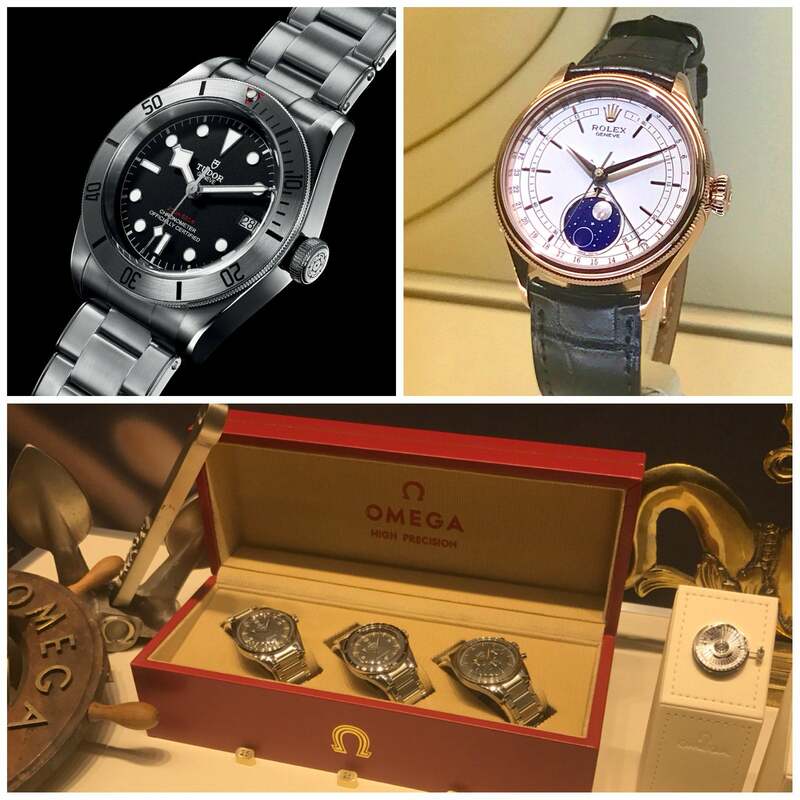 The products that impressed me the most included Omega’s trilogy and Tudor’s new Steel Black Bay. Tudor have had a great Baselworld this year. The date window and steel bezel are a great additions to the Black Bay lineup. The rivets on the metal bracelet provided with the watch are a nice little old school touch which many of brands have also included this year. Tudor are starting to move away from being under Rolex’s shadow and with a very reasonable price of just over £2,500 its a serious contender for my first luxury watch! Omega really listened to what customers were after this year. The three watches all look great and pay a really accurate, respectable homage to the originals. 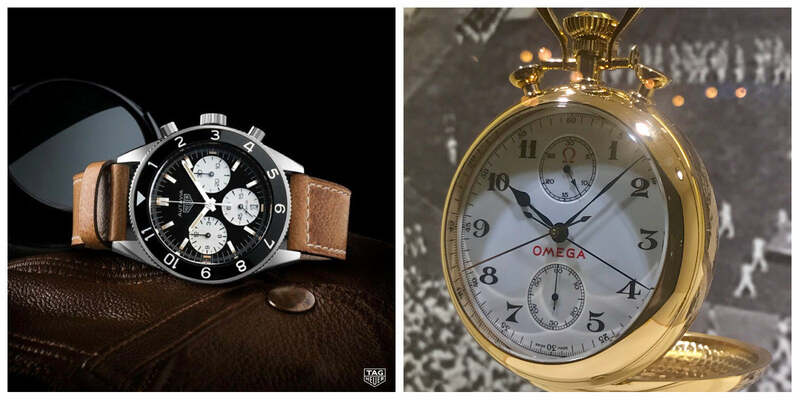 Given the choice, I’d go for Seamaster 300 and try and pick up an original Speedmaster! The Cellini Moonphase from Rolex is a watch which blew me away when I saw it in person. The Cellini line is a stunning range of watches and this recent addition makes it very difficult for me to not add it to my long list of grail watches. Another brand with releases that stood out to me was Seiko. The re-branding of Grand Seiko I feel was needed, especially with the older more traditional text used on models such as the new Grand Seiko SBGR305. Longines and their continuing additions to the heritage line are another brand which stood out to me, most notably the Heritage 1945. The Oris Big Crown, Heuer Autavia and Zenith with their Pilot Type 20 Extra Special in 40mm were a few more honourable mentions. Overall, Baselworld 2017 was an incredible experience. We got to see some great watches, gather some valuable inspiration for new Geckota watches and visit a great city. 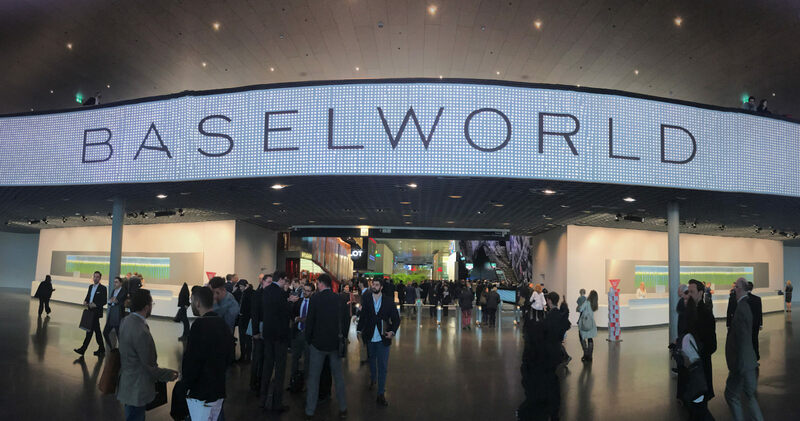 See you in 2018 Baselworld!